For the snack lover in your life, this is the perfect gift for a birthday, congratulations or just because. 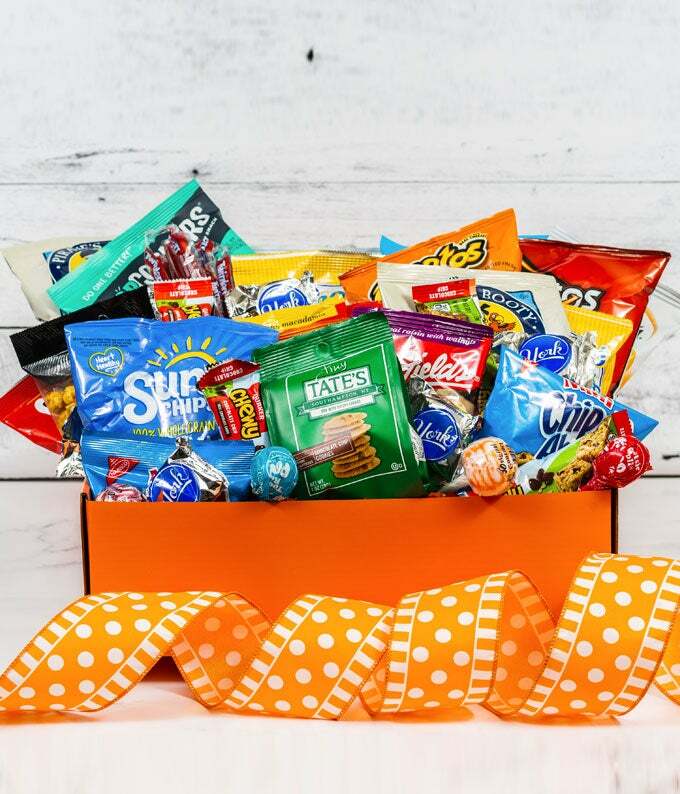 Filled with candy, cookies, chips and more, your recipient will be so delightful as their stomachs are satisfied for days. Delivered straight to their home in a gift box. • Includes Candy, Chips, Cookies, Granola Bars & More!